News from the AHIP annual conference in Seattle. AHIP's "Institute2014" Conference was held in Seattle June 11-13. 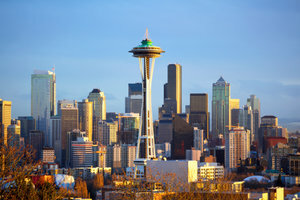 Two measures of the evolving health insurance market show that change is happening more quickly than anticipated, according to two presentations at the AHIP‘s Institute2014 Conference in Seattle this week. First, the number of U.S. employees enrolled in private health insurance exchanges has now topped 3 million, which is three times higher than forecasted last year, according to a report released at the conference by Accenture Health Administration Services. The report, “Growing Pains for Private Health Insurance Exchanges,” which was written by Rich Birhanzel, managing director of Accenture Health Administration Services, was also the subject of a presentation by Birhanzel at the conference. In addition, the number of physicians providing care for members of WellPoint, Inc. through accountable care models has grown from just a few thousand in 2013 to over 26,000 today, according to another presentation at the AHIP conference by Amy Cheslock, vice president of payment innovation at WellPoint. “This evolution occurred faster than expected, because employers are struggling with affordability, and consumers want the shopping experience they have in every other walk of life,” said Birhanzel. “Private exchanges have an unprecedented opportunity to differentiate and prove the value of this new model over traditional self-managed plans,” he added, noting that it’s important to offer consumers support during the shopping experience. The Accenture paper was the fifth in a series, the first of which predicted much slower movement into private exchanges about 13 months ago. Within five years, one quarter of those with employer-sponsored coverage will shop for health insurance on a private exchange, the consulting firm predicted. “We still feel confident in the figure we reached a year ago, that employees in private exchanges will reach 40 million by 2018, and ultimately surpass those in state and federally-funded exchanges,” Birhanzel said. In the meantime, however, both consumers and providers are likely to feel the pinch. “It’s like the early days of auto insurance or 401(k) purchasing online, when people made some bad choices, no doubt,” Birhanzel said. A decrease in the amount of insurance purchased will likely affect providers. Accenture predicted that out-of-pocket collections from patients in employer-sponsored plans will increase by 7 percent by 2018, adding to the woes of providers, who provided $45 billion in uncompensated care in 2012 alone, according to the study. WellPoint is expanding its use of the accountable care model dramatically, as well. The company began pilot programs using the accountable care organization (ACO) or Patient-Focused Medical Home (PFMH) model (the company uses the terms nearly interchangeably) in 2008 in California, Connecticut, New Hampshire and New York. “Significant growth occurred in waves in 2013, as we began recontracting under these models,” said WellPoint’s Cheslock. While the company currently contracts with 26,000 primary care providers, and with more than 100 hospital systems, through ACO-type organizations, the company expects the growth to slow, adding between 5 and 10,000 new doctors in the next year, she predicted. Now, WellPoint is trying to add specialists in addition to primary care doctors to the model. “We are piloting with cardiology, endocrinology and OB/GYN in our northeast footprint. We have just about 100 physicians in that model in Connecticut, New Hampshire and Virginia,” Cheslock said. The company also has an oncology project rolling out in Virginia next month, she added.